Spinal Manipulation is the gentle movement of joints. Specific manipulation is performed to help restore a persons normal function, decrease pain, decrease inflammation and initiate the body’s natural healing process. This technique treats back, neck and other musculoskeletal conditions. Dr. Strubbe also use the Activator Technique. This is a great alternative form of adjusting. This is done by using a small instrument that delivers a high velocity -focused thrust. The patient perceives it as a gentle tap. Everything we do in the office should be very comfortable. If you have questions or concerns about your treatment, we encourage you to talk to Dr.Strubbe. Let him know about any pain you are experiencing. 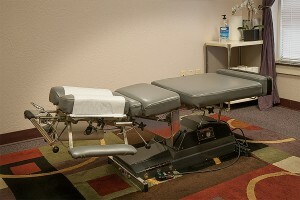 Patient care and your comfort is very important to us!